The National Hotel has been named an award winner in the U.S. News & World Report Best Hotels of 2015 ranking! 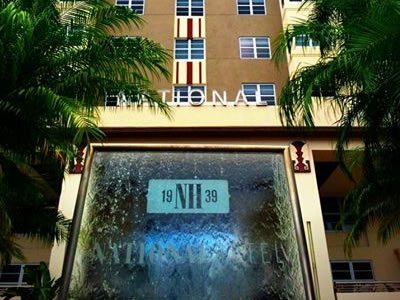 The National Hotel has an early 20th century charm that recent guests love: The property is reminiscent of the 1930s and ’40s with art deco architecture and period design elements. And the property’s location is tough to top: This hotel sits along South Beach‘s illustrious Collins Avenue within spitting distance of many of the area’s most exciting activities. Guest rooms are comfortable with entertainment console centers, Wi-Fi access and excellent views; however, some travelers lament a lack of in-suite creature comforts — particularly coffee makers. The room size and the views offered also vary greatly, so keep in mind that the cabana rooms tend to be larger but the tower rooms will give you a view of the ocean. 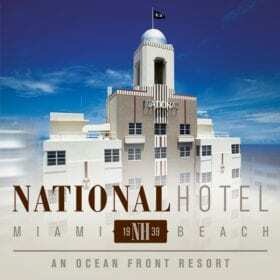 While staying here, Miami Beach visitors have access to the hotel’s massage services and two pools, as well as the French cuisine served up at Tamara Bistro. Pool service is also available from Aqua Pool & Lounge.